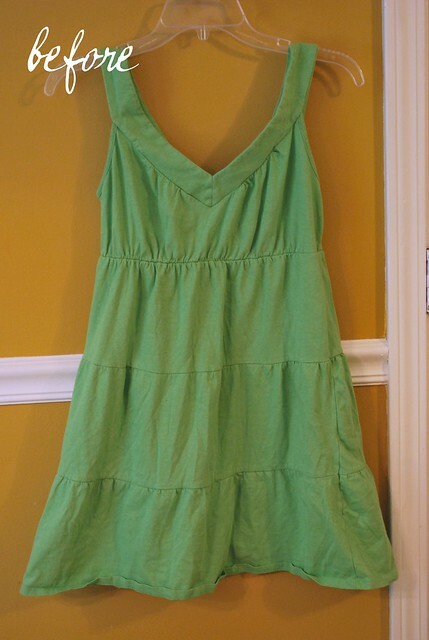 I found this dress a couple of years ago at a thrift store. At the time I thought I could make something for Harper with it. Then I tried it on and it kind of fit, so I thought I might actually wear it. Then I tried it on again and realized I haven't worn it because it is WAY too short. So I chopped off the top and made it into a skirt. I just added a ribbed knit yoga style waistband. Now I have a brand new skirt that I will definitely wear. I have a couple of other refashions in the works. I really need to work my way through my stash or get rid of some stuff. That is so cute - definitely would wear that. I need to go through some of my too short dresses and do the same - esp. b/c I love wearing skirts in the summer! I have a few presents in the works that would ruin the surprise, so I didn't post a CT again today....next week!! :-) Hope you are enjoying your summer. 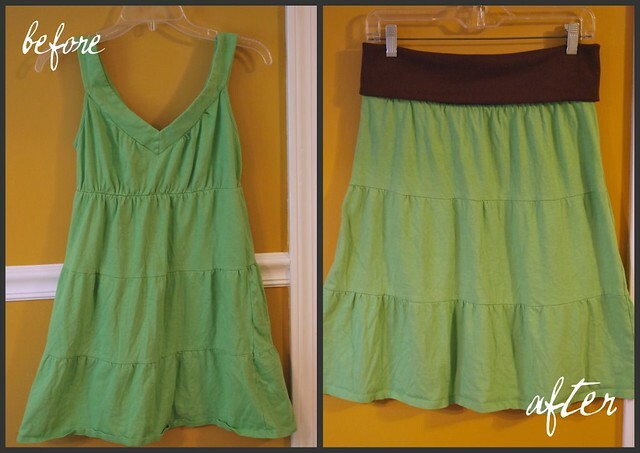 I LOVE your refashion! The waistband looks perfect. I have made a few of those myself and love the cozy way they feel. 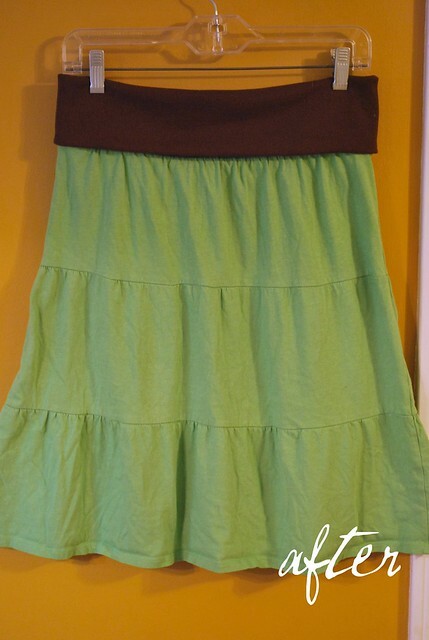 I've got a few dresses to turn into skirts myself this summer. Nicely done!! Nice refashion. It looks really good! totally good save of a too short dress. I do this sort of thing for Sugar all the time. I love to make cloths last. Please post a link to this on my Reap What You Sew linky, it closes in a few hours, otherwise post by next Sunday, I would be honored!